Courses include: architecture, art, business, cinema, economics, environmental studies, German language, history, law, literature, philosophy, politics, sociology, statistics, transatlantic relations and women and gender studies. The European Studies Program at FU Berlin is specifically designed to meet the academic needs of U.S. university students. The program meets the Forum on Education Abroad’s standards of excellence. This program is aimed at students wishing to learn more about the history and culture of Germany within the context of Europe and begin or enhance their German language skills. Courses are available in arts and humanities, business and economics, international relations, music and cinema, German language and more. Courses are taught mainly in English apart from German language and are scheduled Monday through Thursday. 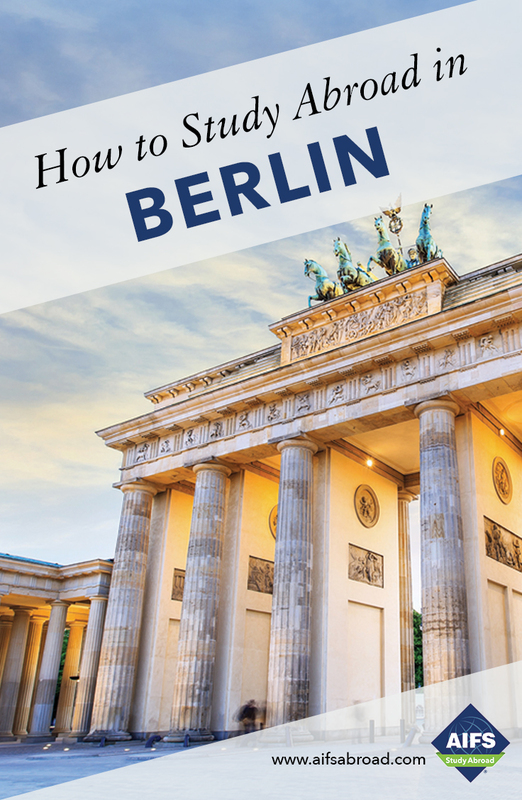 There is no German language prerequisite; however all students are required to take German language throughout the semester in order to be able to fully immerse themselves in the University and wider Berlin community at all levels. Experiential Beginning German for students with no prior German knowledge and who do not plan to major/minor in German. The Experiential Beginning German track is taught for 6 hours per week on Monday and Thursday for up to 4 recommended semester credits. The course includes regular field trips during which students will apply their language learning. Intensive German is for German language major/minor students or students who show knowledge of German beyond the absolute beginner level. Students take two German language courses, typically progressing from one level to the next in a semester. Non-major/minor students can enroll in the Intensive German track at beginner level if they wish to. The Intensive German track is taught for 3 hours per day Monday through Thursday for up to 8 recommended semester credits. If you are not sure which level to select check with your university’s German language teachers. All students take an on-line placement test prior to arrival and have an on-site interview to determine the appropriate language level. Students on both programs then select electives for a recommended 3 credits each. The minimum and regular course load is 4 including German language. Students can also take a fifth course if required and with approval from their home institution. Up to 15 semester credits are available depending on which level of German you take. GermanPLUS+ is a package consisting of two advanced German language courses and three subject courses taught in German on Berlin theater, German art and German identity in politics and history. A recommended 15 semester credits are available. The GermanPLUS+ package is designed to meet the needs and interests of advanced German Studies/German language students or students of European Studies/history/political science with advanced German language abilities. Small classes, expert faculty and the availability of day-to-day support enable students to make the most of this unique educational opportunity. Participants need to have German language skills at the C1 or C2 level, either through formal education or through being a (near-) native speaker. All course assignments and most of the readings will be in German. Freie Universität Berlin was founded on December 4, 1948, by students, scholars and scientists with the support of the American Allied forces and politicians in Berlin. The move was sparked by the persecution faced by students who took a critical eye of the system at the former Universität Unter den Linden, at that time located in the Soviet sector of the divided city. Students and academics wanted to be free to pursue their learning, teaching, and research activities at Freie Universität, without being subject to political influence. Generous donations from the United States enabled FU Berlin to build some of its central facilities, including the Benjamin Franklin University Hospital and the Henry Ford Building. In a nod to the history surrounding the University’s founding, the seal of Freie Universität still features the words truth, justice, and freedom. It is a comprehensive, degree-granting university with 15 departments, central institutes offering over 150 degree programs across a wide range of subjects and a student enrollment of almost 30,000. As a leading research institution, it is one of the German universities successful in all three funding lines in the federal and state Excellence Initiative, thereby receiving additional funding for its institutional future development strategy.